Our team of defective drug lawyers and attorneys at National Injury Help are currently filing lawsuit claims with potential large cash settlements for people hurt from the medication called Onglyza. If you or someone you love has suffered heart failure or pancreatic cancer related to Onglyza contact us today for a complete evaluation for your claim, there may be substantial payouts from the makers of Onglyza. Onglyza the trade name for saxagliptin and is an adult type 2 diabetes drug that was developed by Bristol-Myers Squibb and AstraZeneca in 2007. It was released on the market in 2008. The FDA approved saxagliptin with the brand name Onglyza in July 2009. Saxagliptin is a dipeptidyl peptidase-4 (DPP-4) inhibitor. Bristol-Myers Squibb and AstraZeneca have estimated that this drug could reach 1.8 billion in annual sales. There are many side effects from taking Onglyza (saxagliptin improves glycemic control) and as such you should never stop taking any medication without first consulting your doctor. The study, sourced below, contained a list of potential cardiovascular side effects. 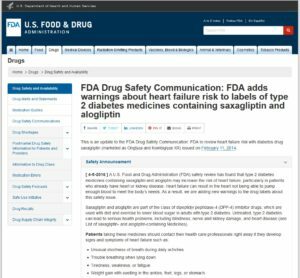 The FDA originally issued a Drug Safety Communication for saxagliptin (brand name Onglyza and Kombiglyze XR) on February 11, 2014. The FDA requested clinical trial data from the maker to investigate a possible link between this type 2 diabetes drug and heart failure. The FDA took this action after a study by the New England Journal of Medicine which studied the cardiovascular safety and efficacy of many current antihyperglycemic agents, including saxagliptin (Onglyza). They reported an increased rate of hospitalization for heart failure. Then in April 2016 they updated their Drug Safety Communication after they evaluated two large scale clinical trials for people with type 2 diabetes with heart disease. It was found that 3.5% of those who took saxagliptin (Onglyza) were hospitalized for heart failure. This equates to 35 out of 1,000 patients. The FDA has not yet issued it strongest warning called a “boxed warning” for Onglyza. Can I sue for Onglyza Heart Failure or Pancreatic Cancer? If you have suffered any side effects from Onglyza, don’t be afraid to seek the justice you deserve. You have the right to sue for damages from Onglyza. 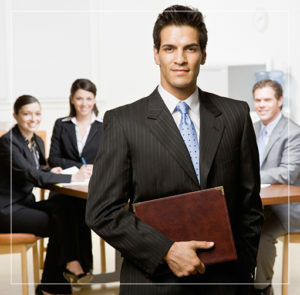 We will help you file claims to start the process to get the compensation you deserve. Contact the Hood National Law Group at 1-800-214-1010 today. If you or someone you love has been diagnosed with cardiovascular problems such as heart failure after using Onglyza, you may be entitled to substantial compensation from lawsuits filed for Onglyza. Three recent questions about the Onglyza lawsuit. How much can you get for an Onglyza lawsuit? How much compensation would I get for taking Onglyza for my type 2 diabetes? How much is the settlement in the Onglyza lawsuit? The answer to these questions can be difficult to predict, as the class action for this hasn’t started yet. There is still time for join in this Onglyza lawsuit, but there are statutes of limitations that apply. Some of the past defective drug lawsuits have had millions of dollars in a compensation fund, and then that is divided up between all who have joined the lawsuit. Example: $50,000,000 in a settlement fund that would serve 1,000 victims would be $50,000 per person. This is only an example and does not represent what may happen for Onglyza. At this time we are not expecting this drug to go into a class action status, which is better for the individuals who have been hurt from Onglyza. National Injury Help has been representing people who have been harmed by defective medications across the United States for decades. The Onglyza side effects lawyers at the firm are offering people who may have been harmed by this product a free initial consultation so that they can learn more about their legal rights and options, as people who have been forced into this position need to proceed with a foundation of knowledge. The firm has a long history of successfully standing up for the rights of injured consumers against large corporations, so contact them today to get the process of protecting yourself and your family started.